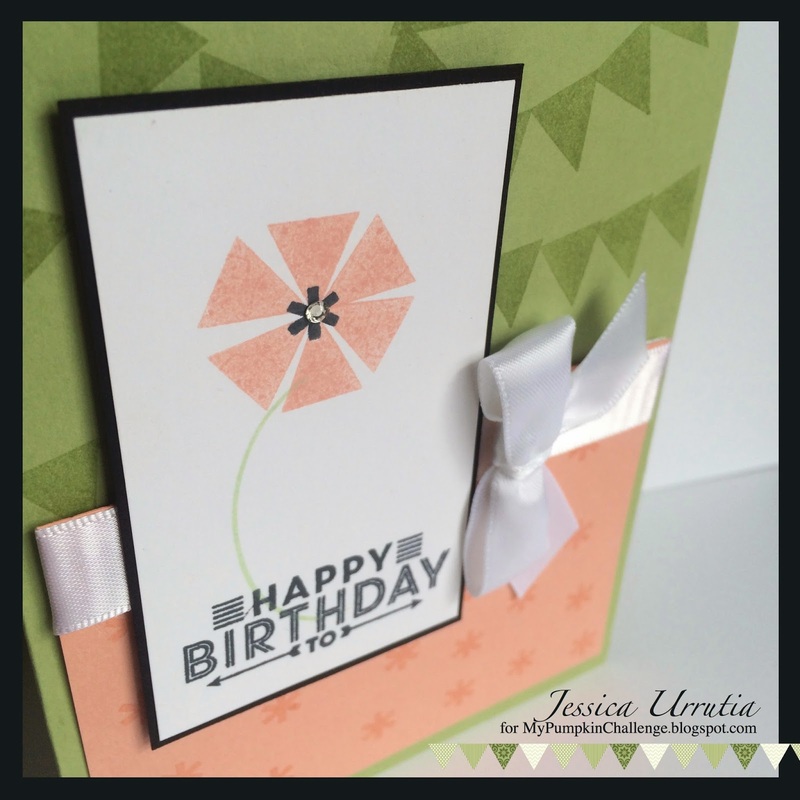 Today I am showing you one of the samples I made with the newest kit of Paper Pumpkin. Absolutely love it! I love how many cool stamps I have now through Paper Pumpkin. Look at how versatile these are. 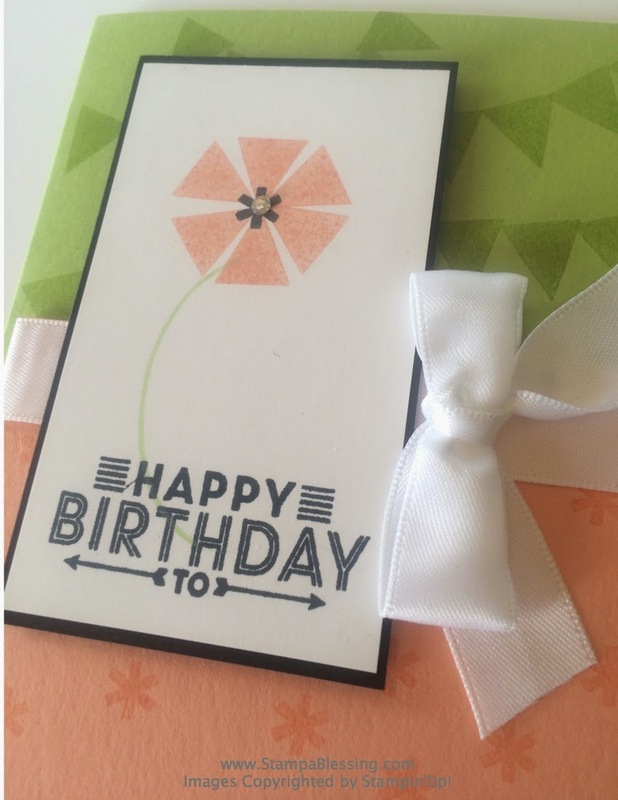 With this kit we got several sentiments (for thanks, happy birthday, I like you and you are invited) but we also got some small different ones (a diamond, a little star and a triangle). Need ideas? If you wish to see other of my ideas with My Paper Pumpkin click here! 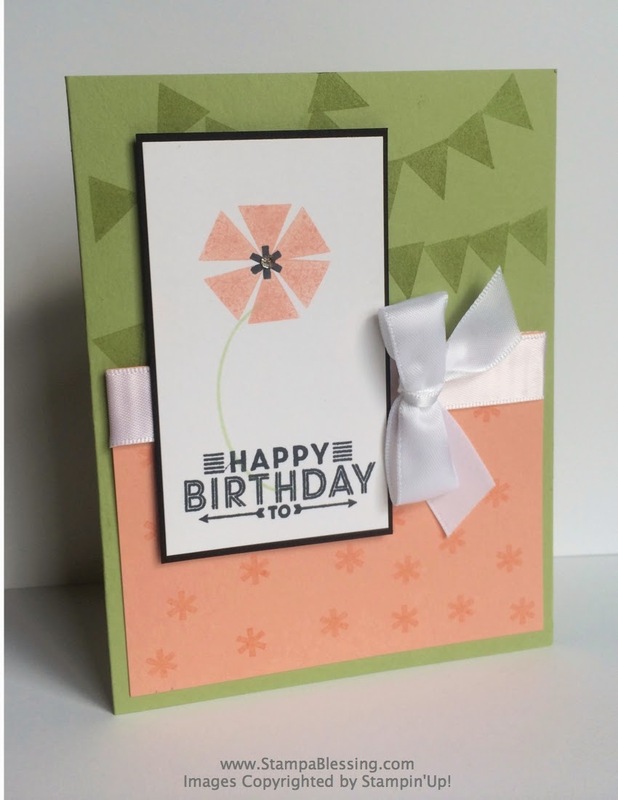 For this card I used the triangle to make a little flower and the "star" like shape to make the center.Then I made a banner with the same triangle, and a cute background on the bottom with the "star". 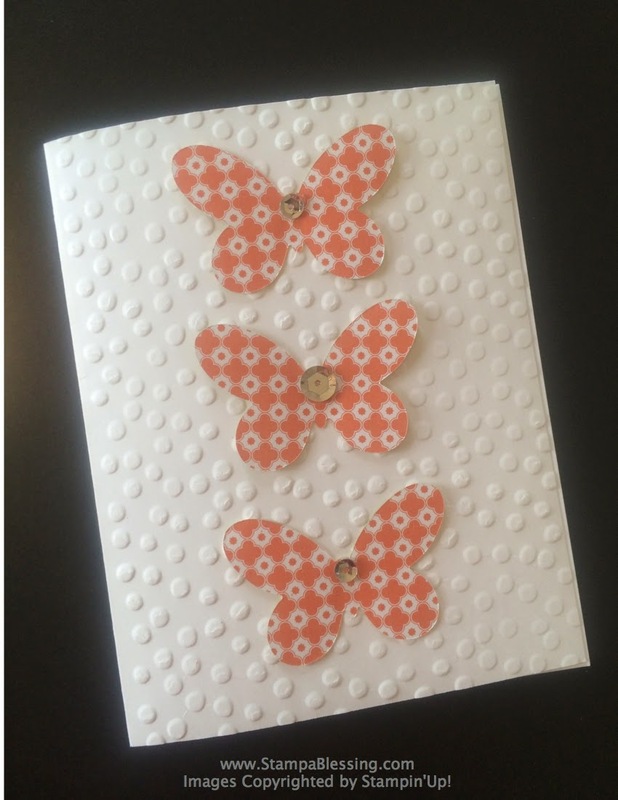 on the inside I created a simple butterfly with the same stamps. Clever eh?! That's the fun of playing with stamps. 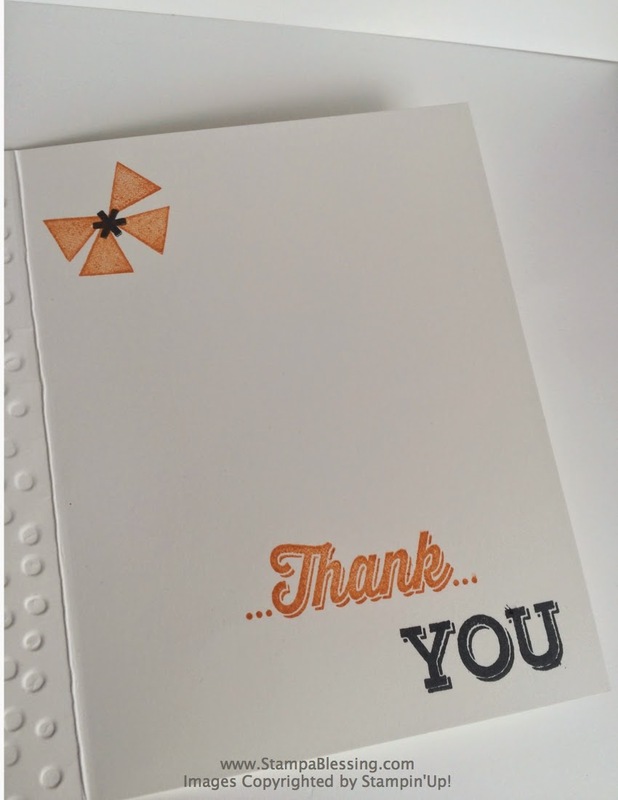 and the Decorative Dots embossing folder. Cute! Thanks for visiting my blog today. Love sharing My Paper Pumpkin with you. Share with us at My Pumpkin Challenge. Jess - this is so perfect! I LOVE this little flower! Thanks for being such an inspiring list mom!